MPHA owns and manages apartments and homes. Most families receiving assistance from MPHA earn less than 30 percent of the Area Median Income (AMI), approximately $28,300 for a family of four in 2018. 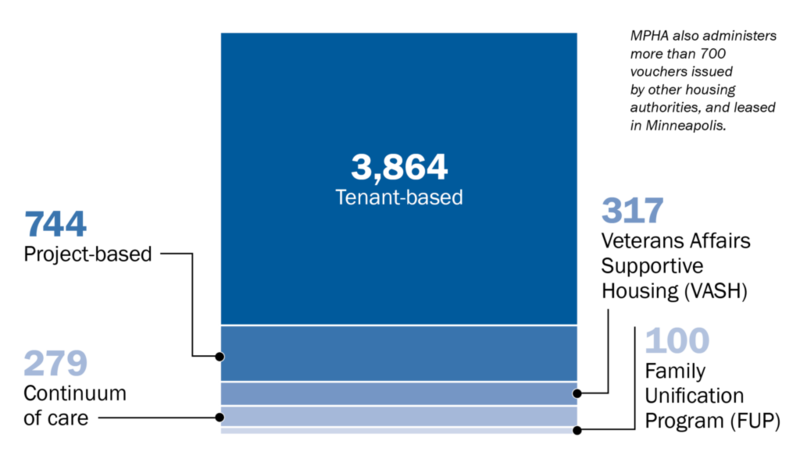 Families contribute no more than 30 percent of their income toward their rent. 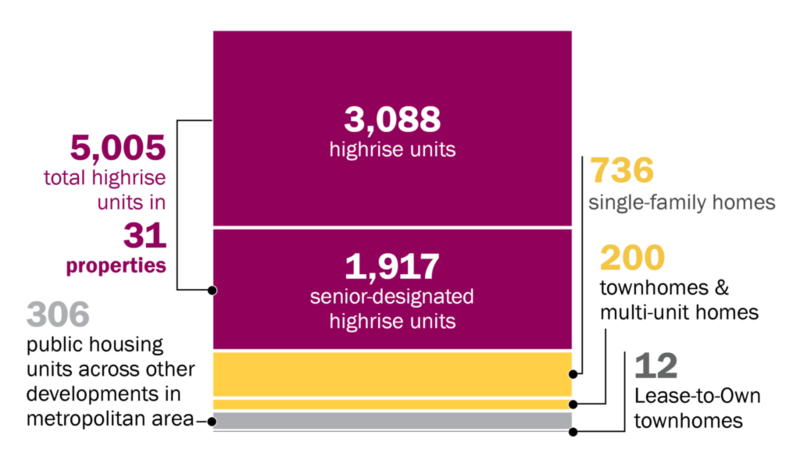 While most of our homes are in high-rise buildings, MPHA also owns and operates single-family/duplex/fourplex homes throughout the city, two townhome developments, and places from its waitlist at certain third-party developments. An MPHA partner provides assisted-living and memory care at two facilities. Under MPHA’s tenant-based voucher program, eligible families receive a voucher that pays a portion of their rent in a privately-owned apartment or home. Families contribute approximately 30 percent of their income toward rent and utilities; MPHA pays the rest. Families can use the voucher within Minneapolis or outside the city. Other vouchers are project-based, in which MPHA contracts with property owners to attach a voucher to specific units and assure those units provide deeply affordable housing. MPHA administers over 5,000 vouchers, including special vouchers for veterans and persons with disabilities. In 2008, MPHA became a full status Moving to Work (MTW) agency. Under MTW authority, all of MPHA’s funding is combined. As a result, MPHA is able to allocate funding without program restrictions to meet agency priorities. Under MTW, MPHA submits an MTW Plan and Report to the Department of Housing and Urban Development (HUD) for approval. Under the Plan, MPHA may waive some federal law and regulations to implement MTW initiatives. Review the key developments in the history of MPHA as an agency and the events that have shaped Public Housing nationally. While there have been changes to the structure of many federal housing programs, there has been no significant investment in new housing affordable to the lowest-income people in more than 30 years. MPHA is focused on providing quality, deeply affordable homes for the 26,000 people we serve in Minneapolis today and assuring these homes are here for decades to come—for those who need them most. Our long-term vision is founded upon three strategic initiatives.